Walking along the steep cobbled lanes of Çukurcuma, an area tucked away from the bustling Istiklal pedestrian mall in the centre of Istanbul, I instantly thought, I could live here. Antique furniture spills out onto the street from the many quirky and colourful shops. Cute cafes where locals are hanging out and enjoying the cooling afternoon breeze. Orhan Pamuk’s Museum of Innocence is also here, in a 19th-century townhouse, a collection of love and overwhelming obsession in 83 installations. But the best discovery was Münferit. As if set within the steep hillside the restaurant is almost hidden from the street. A wood panelled ceiling and marble top tables surrounded by glass cabinets filled with the house Raki, the aesthetic is quite Art-Deco. And the vibe is so very cool. Sitting at just one of four outside tables it was a perfectly balmy summer evening. The menu is modern but with a nod to the best of Turkish cuisine. A mouth-watering selection of meze plates and then more substantial mains, each dish is so well thought out and features some really interesting pairings. We opted for a selection of the starters with the benefit of sharing. Griddled bread came out first with a punchy anchovy butter. 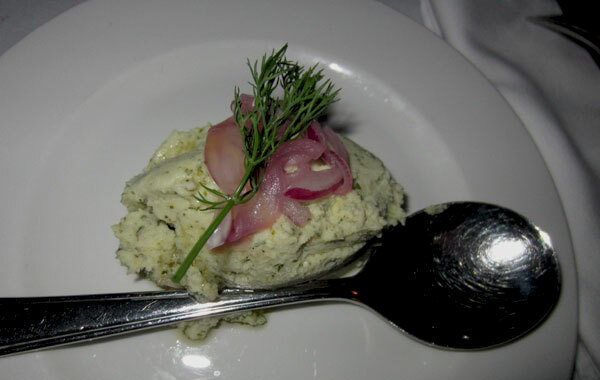 Mashed broad beans with mint and a hint of lemon was fresh and delicious. Smokey aubergines with tahini dressing, such a simple pairing but done so well. 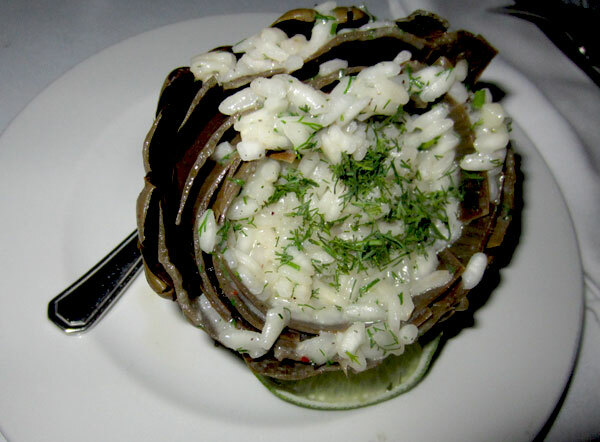 A whole artichoke was stuffed with arborio rice drenched in lemon and chopped dill. Again simple perfection. 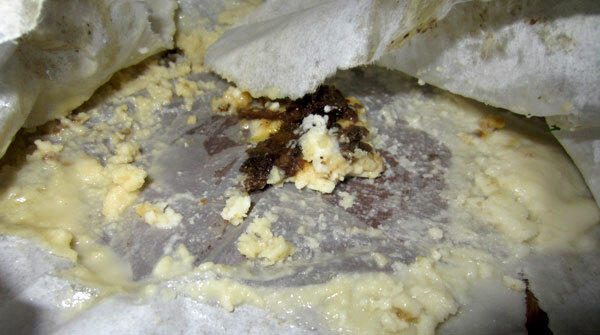 A pungent blue cheese with a slice of pear was wrapped in vine leaves to make a very bitey twist on dolmades. I knew the next dish was going to be special as soon as it hit the table. The smell was so intoxicating we were immediately drawn to the paper parcel of delight. Inside was the most glorious arrangement of salty white cheese baked with just a couple of porcini mushrooms and infused with the most intense and incredible truffle oil I have ever tasted. Lathered on crusty bread this cheese was orgasmic! We were a little lost for words, it was beyond amazing. We definitely found ourselves having a little ‘cheese moment’. On several occasions our waiter attempted to take the torn at paper away and we had to firmly assure him that we were so not finished and would be licking the paper clean. It goes down as one of the most intense and sublime taste experiences I have had. This is my umami. By now we were in a state of euphoria. Mainly from the cheese but generally from the whole dining experience. 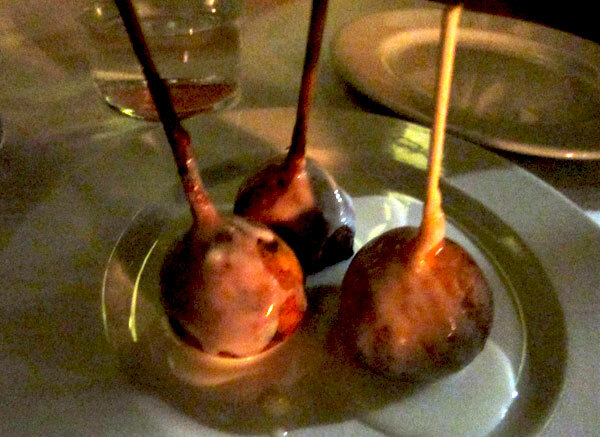 When we were presented with the possibility of dessert I actually didn’t think it could get any better. And yet I was wrong. I don’t even remember looking at the dessert menu, as I think our waiter was quite insistent that there were two we must have. And so we obliged. 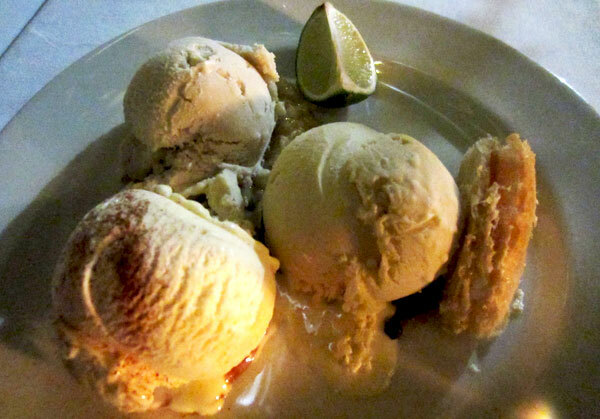 Three of the most interesting and incredible icecream flavours arrived at our table. Sage, tahini and salep (our waiter described this as flower dust. I have since looked it up and it is the powdered roots of mountain orchids, he was quite right!). Wow, the sage flavour was so refreshing and not overpowering which I thought it could have been. The tahini was amazing, even the texture was unusual, slightly gritty and the flavour quite savoury but so good. The salep was sweet but delicate. I would like to have a tub of all three in my freezer at all times. And for the finale, with strict instructions to place the whole ball in your mouth at once, resulted in an explosion of gooey chocolate lava with the slightest hint of brandy through a chewy choux pastry. Ahhhhhhmazing! Throughout the evening the music from the upstairs bar had been gaining momentum. It was the most eclectic playlist of old and new and masterfully sequenced. It was making our toes tap, making us smile and calling us to join the throbbing party above. And so in the most natural of transitions we joined the fashionable and swelling crowd of young scenesters and the night had just begun.